MPP Files Complaint to Get York, Maine, Initiative on Ballot. The Marijuana Policy Project filed a complaint yesterday in York County Superior Court seeking a temporary injunction to force the town Board of Selectmen to put a possession legalization question on the November ballot. The board has twice refused to put the matter to voters, despite petitioners gathering enough signatures to put the measure on the ballot. The complaint seeks a hearing by tomorrow. Similar initiatives are already set for Lewiston and South Portland; Portland voted to legalize it last year. Florida CBD Cannabis Oil Program Delayed After Growers Complain About Proposed Rules. The Department of Health's issuance of proposed rules on who could qualify for one of five licenses to grow low-THC, high-CBD medical marijuana under a new state law have run into stiff opposition from potential growers. The growers have filed challenges to the rules, and now an administrative judge must deal with those challenges. He has up to 60 days to do so. NFL, Players Agree on New Drug Policy, League Eases Up on Marijuana. The league's new drug policy allows for immediate testing for the presence of human growth hormone (HGH). It also raises the acceptable level of THC found in a player's system from 15 nanograms per millileter to 35 nanograms. The change in policy will allow several suspended players to return immediately; others will see the lengths of their suspensions reduced. Senator Whitehouse Files Bill to Address Prescription Opiate, Heroin Use. Sen. Sheldon Whitehouse (D-RI) yesterday introduced SB 2389, "a bill to authorize the Attorney General to award grants to address the national epidemics of prescription opioid abuse and heroin use." The next of the bill is not yet available online. The bill heads to the Senate Judiciary Committee. North Carolina Conference on Heroin Set for February. The North Carolina Harm Reduction Coalition, legislators, medical professionals, law enforcement, and heroin users and people impacted by its use will hold a conference in February to discuss legislative solutions to heroin use and heroin-related drug overdoses. Click on the link for more information. Irish Review Calls for Easing Drug Laws. A government study of sentencing policy has called for an easing of mandatory minimum sentences for serious drug dealing offenses, which currently stand at 10 years. The Strategic Review of Penal Policy also recommends increasing the monetary threshold that triggers serious drug dealing charges, which is currently at about $20,000. And it calls for increasing "good time" for good behavior in prison from 25% to 33%. 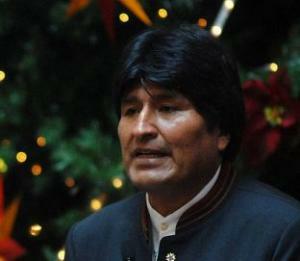 Bolivia Rejects US Claim It Hasn't Done Enough to Curtail Drug Production. Bolivian President Evo Morales, a coca growers' union leader, rejected the White House's designation last week of Bolivia as one of three countries (along with Burma and Venezuela) that had failed to comply with US drug policy mandates. "Whatever they do and whatever they say, or yell from the United States, the people won't be confused by this type of information," Morales said Wednesday in a speech. Although the US complains that "illegal cultivation for drug production remains high," the UNODC said in June that coca leaf production in Bolivia last year had declined 9% and was at the lowest level since 2002. Mexico Orders 18 Black Hawk Helicopters for More Better Drug War. The Pentagon announced this week that it has awarded a $203 million contract to Sikorsky to build 18 UH-60M Black Hawk helicopters for the Mexican Air Force. That contract doesn't include the cost of engine and mission systems; the total cost for supplying the choppers will be about $680 million. Mexico will use the choppers "to enhance its counter-narcotics capabilities." Australia Prime Minister Backs Medical Marijuana. Prime Minister Tony Abbott has written in a letter to a radio host saying he is prepared to support legalizing medical marijuana. "I have no problem with the medical use of cannabis, just as I have no problem with the medical use of opiates," Abbott wrote. "If a drug is needed for a valid medicinal purpose though and is being administered safely there should be no question of its legality. And if a drug that is proven to be safe abroad is needed here, it should be available. I agree that the regulation of medicines is a thicket of complexity, bureaucracy and corporate and institutional self interest. My basic contention is that something that has been found to be safe in a reliable jurisdiction shouldn't need to be tested again here." South Africa Medical Marijuana Bill Gets Support of Christian Democrats. The Medical Innovation Bill, which would allow for the use of medical marijuana, has gained the support of the African Christian Democratic Party. The bill was reintroduced by an Inkatha Party member last week, and the governing African National Congress Party approved letting it move forward. The NFL provides a good example as to how to deal with the " Drug " issue . First , you make alcohol a top priority . A drunk crowd is a good crowd . Physical action on the field . Beer insignia everywhere . Children everywhere . Rome ? Lions ? Cannabis and on field destruction don`t mix very well . A drunk with a football will soon fumble . Do I sell tickets to the Cannabis crowd or the alcohol crowd ? You do the simple math . Take my cc , fumble the ball , go home , drink , throw some punches , go to sleep , go to practice , get a grip and everything is ok . Smoke the Cannabis and all hell breaks loose . Again , you do the simple math . Kickback is absolutely right about the double standard for alcohol and cannabis in America. In four of the five cases involving domestic violence and child abuse that have embarrassed the NFL in recent weeks, alcohol played a major role. What's the NFL to do when they receive millions from Anheuser Busch? Who's going to raise concerns with alcohol when every media outlet that covers the NFL is ensconced with Beer Ads? That why alcohol will always get a pass as the media will never confront this conflict of interest. An NFL player in a drunken stupor could murder someone and there wouldn't be any questioning of the drug's(yes, Alcohol is a drug) impact on violent behavior and bad judgment.